Student success at FIU means meeting students where they are and helping them get to where they want to be. This campaign objective helps eliminate barriers to students attending FIU (through merit-based scholarships and Golden Scholars), promotes timely completion of their degrees (emergency assistance and completion scholarships), and enhances educational experiences through paid opportunities that replace their need to work (study abroad, internships, paid research experiences, and fellowships). At FIU, student success is also about tackling systemic challenges in education. We transform pedagogical practices in gateway courses and offer critical support through our Learning Assistant program — peer learning and writing assistants in courses where students and faculty need it most. The campaign will fund expansion of this program and strengthen student support units like FIU Libraries. Through this campaign objective, FIU will change the trajectory of households and communities. Investments in pipeline programs to FIU, K-12 partnership programs for our community, and workforce development programs for non-degree-seeking learners and industry partners will make this possible. For some seniors, just a few hundred dollars could mean the difference between completing their course load and graduating on time, or never finishing their degree. Nationally, approximately 15 percent of college students drop out with 75 percent of their credits completed, mainly for financial reasons. 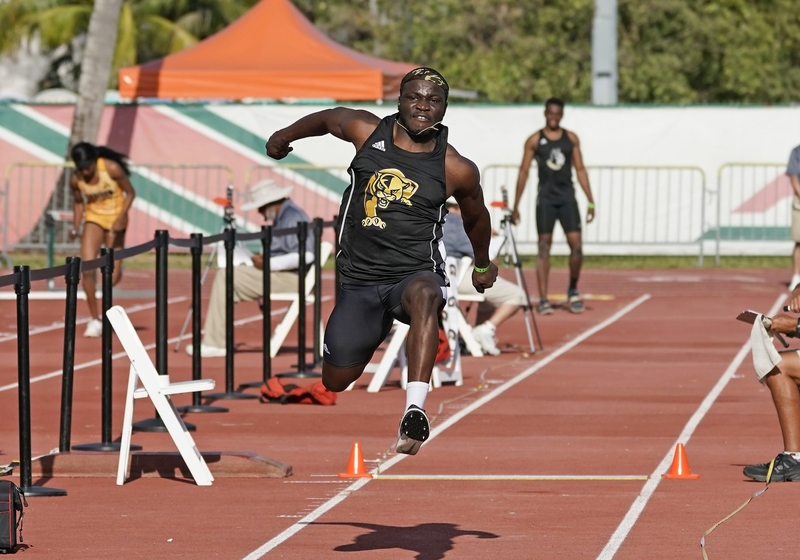 Wisdom Offor ’18, an FIU Track and Field star who recently earned a bachelor’s in sports and fitness, was one of the first recipients of the Braman Family Completion Scholarship supported by the Braman Family Foundation. Though he had received Athletics and first-generation scholarships throughout his time at FIU, it just wasn’t enough to cover all his expenses; and a busy schedule of studying and track meets left him little time to work a job outside of school. Offor says earning the Braman Family Completion Scholarship, which also provided him a success coach to plan his short- and long-term goals, “was a blessing.” Now, he’s headed to nursing school and hopes to combine his degrees in a career as an orthopedic nurse working with athletes.